You can’t get their songs out of your head. 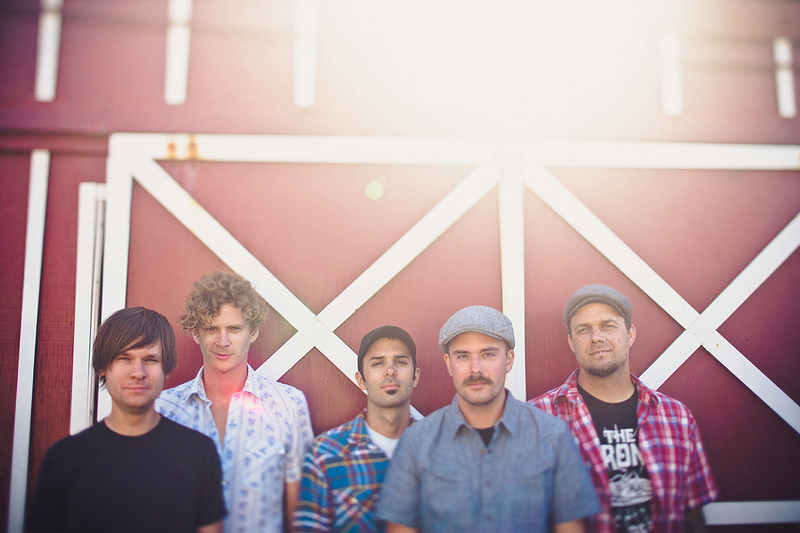 Relient K is back with their first album in four years, and they want you to sing along. If you guys could state your name and your role in the band. And who wears the pants in this relationship? Thiessen: Yeah. It’s unfortunately obvious. I’m Matt, I’m the singer and I don’t wear the pants in this relationship. Hoopes: I’m Matt Hoopes, I play guitar and sing and do other things. But, uh, I don’t know if I’m going to claim the role of pants. I guess I’m like the dad of the band. I get things done when they need to be done. Thiessen: He’s the one in sweatpants. How was your guys’ Father’s Day yesterday? Did you do anything special? Hoopes: I was actually out visiting my family in Ohio last week, so I had my two kids up there, and got to hang out with my dad a lot – and you know the kid’s had some good time with their grandparents. Then, we actually made the trek back to Nashville, like, yesterday afternoon. We took about a nine-hour drive, which turned into a twelve-hour drive. Hoopes: Yeah. It was crazy. We had a hard time. My daughter … She had some issues and my son had some issues – we made it home safe, you know. And that’s a good thing, so I had a good Father’s Day hanging out. Hoopes: We watched “Wreck It Ralph,” like, three times. Thiessen: Aww. Sweetheart. Yeah, I had a good Father’s Day, too. I got to visit my brother; he lives in California. Thiessen: He’s about 10 years older than me. So your newest album, Collapsible Lung, has been a long-time coming. What was the process like recording the album, and why was there a four-year gap between records? Thiessen: The four year gap was not necessarily super-intentional, but after our last album came out, I knew I wanted to put some space in between original recordings. We put out that cover record in between, and we kind of transitioned the time. I don’t know. I just didn’t want to force anything, I just wanted to go out and find the songs, write the songs casually. And I think it was a really great process Unfortunately, yeah, it just took awhile for us to be able to release this thing. Hoopes: We had a lot of fun in the studio working with Aaron Sprinkle and Paul Moak – both of whom are friends – both of whom we have never worked with before. It was a different process, and we tried to push ourselves out of what we’ve done in the past and where we felt comfortable. I think it’s a really interesting, and I think we’re proud of it. We’re excited to see what people think of it. Thiessen: Also, a few of the songs were co-written with outside writers, too, which is something we’ve never done before. So it gives us a different mentality on the songs. Thiessen: It was great! There was a time where Matt and I both just hung out in L.A. for two weeks and wrote with people we had never met before, and we got some cool songs out of it. So I noticed on this album that a lot of the songs differ from one another. Is that because of the different co-writers you had? Or was it because of the different influences? Was it an experimentation of sound, or did it just come naturally? Hoopes: I think when we went in the studio, we tried to just take each song for what it was, and when we were working out the song, we didn’t necessarily say, “OK, well, this song needs two guitars and a piano and drums.” We tried to think of each song as, “Well, what exactly does this song need? Does it need one guitar or seven guitars or drums or no drums or … ?” Take each thing as it was, and try to be creative in that process of actually getting the sounds and creating the tracks and singing on them. That’s kind of how it ended up all over the map. We tried to take each song as its own thing, and tried to do the best we could with each thing. Adam Young (from Owl City )made an appearance on “That’s My Jam,” and also co-wrote it correct? Hoopes: I don’t think he was the writer on that. Was he Matt? Thiessen: No, Adam wasn’t a writer on that song but he definitely helped. Thiessen: Adam’s a really good friend of the band. We took Owl City out on their first tour ever, and I’ve been writing with Adam for Owl City a lot. Yeah, he’s never been featured on any of our songs before, so that was brought up. He was down to do it. It’s really nice. You know, he has my voice on a lot of Owl City songs, so it’s cool to have it go the other way around. Looking back on the very first album you ever recorded as a band and comparing it to the new album Collapsible Lung, how would you say your music has changed? What have you learned over the years? Thiessen: Wow. Our first album, we didn’t know what we were doing, which is half the fun of it. And it was songs that we had started writing when we were 15, 16 years old. Actually, it’s funny how similar that is to the fact that we had to wait three years until the songs actually came out. And then (with) this album, we also wrote songs and had to wait three years until they came out. But this time around, as we said, the process was different. We co-wrote with other people, we had a couple different producers. You know Matt really took the reins as far as leading the production on the album, coordinating everything and making sure it got done. It’s cool to be kids on the first record, and now feel like adults on the recent one. The majority of your fans have grown up with you, from teenagers to adults. How has the age demographic changed the way you write music? Thiessen: We never really let the fans dictate necessarily what we write. But we always have a pulse on who they are and that sort of thing. The weird thing is that a lot of kids have grown up with us, but for some reason, we keep getting new fans that are younger. We still have a lot of fans that are under 20 years old. The years go by, and music changes and culture changes and all those things have to factor in to what you’re going to put out. Hoopes: I think we’ve kind of subconsciously been successful at not repeating ourselves exactly. I don’t think we’ve ever really gone into a record – maybe we had with Forget and Not Slow Down – where we were really intentional and (said to ourselves), “Let’s do this kind of a thing.” It’s just always come out in a certain way, and its always been different than the last one, you know? So it was a fun process. I think there are songs that are parallel to the new record from our first record … but it also feels like a new life to the band. It feels like starting over in some ways even. It feels like it’s an exciting time, and it’s an exciting thing to go in and push ourselves, and not just make the same record, not try to recreate anything we have done, but to try to move forward. I know a lot of fans like myself have discovered you through the Christian music scene. How has that community shaped Relient K as a band and as individuals? And how much does it impact your music and personal lives today? Hoopes: Our faith has always been something that’s important to us, and it’s always come out in our music. When we started, we were definitely influenced by a lot of bands in the scene, from MxPx to a lot of bands on Tooth & Nail in that time. You know, we’ve done a lot of Christian festivals and things like that, and it’s been a mostly really positive thing. Thiessen: Yeah, and it’s given the band quite a bit of identity over the years. We started out in an industry where it was lyric-based. We met a lot of people through the Christian music industry, and as time went by, we were kind of known for being a Christian band. But we wanted to be known as being a different kind of Christian band, I think. That just kind of happened naturally to us, and I think we’ve played a unique role in that part of culture. I think a lot of kids have some respect for us, as far as the way we went about approaching (the scene). I mean, it gets kind of weird for a lot of people, too: “Are you guys still a Christian band?” Then everybody always wants to know, “Why aren’t there more songs about that on your album?” or things like that. Really, we’ve just been ourselves, and when we meet kids, it’s fun getting to talk to them after shows. Especially when you have some time, and you can just have a real conversation – that’s when it really gets to come out. Hoopes: Our faith is something that’s important to us, and I think we realized, at some point in our career, that when it’s something that’s forced or contrived, then it’s not real, and it actually makes less of our beliefs and less of the important thing in our lives. So we never tried to force it into our music. We, at least, made an effort to not do that, and then when it is there, it’s honest and it’s real. The whole Christian culture is, like Matt alluded to, some people didn’t want us to be something that we’re not. And I explain that to people when we talk to them. There are just different parts of the body of Christ. Some people are called to be pastors or worship leaders and we’re just trying to be who we are, and use our talents to encourage people and just make music. And you guys are taking The Almost out on this upcoming tour, right? Hoopes: Yeah, yeah, those guys are coming out. We’ve never toured with them before. We’ve played a few festivals and whatnot so it should be fun! Thiessen: Yeah we’re looking forward to it. You’re also playing select dates this year on Warped Tour. How has the festival changed since the first time you guys played? Thiessen: (Laughs) The bands used to sing a little bit more than they do nowadays. A lot of screaming out there. Sometimes it sounds like … I call it the Soundtrack of Mordor, like from “Lord of the Rings.” Sounds like people are getting tortured everywhere. But yeah, it’s cool. This year we’ll definitely be veterans of Warped Tour. It’s almost been eight years of playing Warped Tour. Thiessen: Well, not every year, but our first Warped Tour was in 2005, so it’s been a while. Hoopes: Yeah, we have seen things change. The first year we were on it, I remember trying to watch Thrice play every day and going to see some really great bands out there. Now, a lot of those bands don’t exist anymore, so it’s kind of going out and seeing what people are doing. Seeing what’s catching on and try to find stuff that’s happening that’s cool. Do you remember the first Warped Tour you went to as teenagers and not as a band playing the festival? Who did you guys see? Who were you really excited to see play at your first Warped Tour? Hoopes: I remember going to that show. Who did we see, Matt? We saw Less Than Jake and Blink 182. Thiessen: Wait a minute. You must have gone to a different one because I never saw Blink 182. Hoopes: You never did? Oh, I went with Stephen. He was our original drummer. Yeah, and I saw Less Than Jake, Blink 182. We saw Eminem. Thiessen: Oh yeah, we went that year. Hoopes: We saw, what was that band … Avail? We used to listen to them? Hoopes: We saw them. They were really cool. Hoopes: Oh yeah! I was at that show with you. Thiessen: That was fun. Then we saw The Used, and I remember Suicide Machines, they were really cool. Other than Warped Tour, you guys are doing a tour on the east coast. Any plans for a west coast tour as well? Hoopes: We have more plans in the fall. We’re still trying to work that out with what other bands might be doing it, and also the time frame. But we’d definitely like to head out west and play some more shows in support of the record and see what happens. The songs we have been playing so far have been really fun, and it seems like people enjoy listening to them. It’ll be interesting to see the reaction to different songs after the record comes out. What’s your favorite track off the new record? Hoopes: Uhh. That’s a hard one. Thiessen: I don’t know why, I like “If I Could Take You Home” a lot. I don’t know why, I just like it. Hoopes: Yeah. I think that one is kind of interesting and simple and definitely new territory for us. The thing I like about that song, too, is that it doesn’t really sound like anything I can think of. Hoopes: I kind of like that that happened. Mhmm. It’s funny because we did that song with a producer who has never produced anything remotely like that type of music, and I remember him searching on YouTube how to sidechain compress keyboards, you know, do things like that. He figured it out, but it was a different approach than when you’re working with someone who typically does that type of music. When you guys are on the road touring, what are some things you like to do to pass the time? What are you currently reading, watching, or listening to? Hoopes: We’re actually mostly on a bus, so we sleep while we’re driving. The days are similar to other days. Matt likes to run; I like to ride my bike and kind of just live life. (To Thiessen) I don’t know if you have any? Thiessen: I read the new Slash autobiography recently. That was good. Thiessen: I read Demetri Martin’s little picture book. It was amusing as well. That band Gypsy & The Cat, I’ve been listening to them a lot. Do you have any guilty pleasures? Music, movies or TV? Are you all secretly Pretty Little Liars fans? Hoopes: I think Taylor Swift is about as close as I get. I like her. Thiessen: You like her and the new J.T. a little bit. Hoopes: Yeah, I like the new Justin Timberlake for sure. It’s happy. Thiessen: I listen to Miguel. I like Miguel. That’s not really like Miley Cyrus, but it’s an unexpected album for you. We don’t watch a lot of TV, which is awesome. Hoopes: I don’t watch much TV at all. Thiessen: I don’t think we turned on the TV last tour. Not one day. I don’t think we ever turned on that TV. Hoopes: That’s crazy. It was nice. So you’re missing the whole “Game of Thrones” hype? Hoopes: I actually walked in while my roommate and my other friends were over watching one of the episodes where I guess all this crazy stuff started happening, and I could hear them screaming and yelling from the other room. (Laughs) I don’t really care, but it’s fun that they like it. There’s a whole video reaction to that episode on YouTube. It’s pretty funny. Hoopes: My roommate Michael was videoing Tori and her reaction to it. It was pretty funny. That was funny because he’s already seen it. I don’t even really know what happens; I don’t follow the show at all, but it was interesting. What’s your favorite city to visit on tour? Thiessen: I like New York City. Hoopes: That’s a good one. Thiessen: Yeah, it’s a pretty big city. Hoopes: Me and Matt had a good time in Tokyo. What do you like to do in New York or Hollywood? Thiessen: I just have friends in Hollywood that I like to visit, so it’s become a bit like a second home. And New York’s just surreal. It’s just so big, and there’s such a pulse that it actually makes you feel physically different to be there. It reminds me of Tokyo, Japan, as well. That’s actually my favorite place to go visit on tour for sure, but we’ve only been once. Do you have any favorite food places in those cities? Thiessen: That’s the thing about the city is that you can play roulette every day and find a new spot that’s really awesome. Hoopes: Yeah, I’m big into Yelp when I’m on tour, so I use that a lot. Nine times out of 10, it steers me in the right direction. It’s just fun to try to explore and try to go somewhere new. I don’t typically try to go to the same places again and again. Tell us something about Relient K not many people know. Thiessen: We had dancers when we started. Hoopes: Yeah that’s true. We had four. Thiessen: Yeah they were friends of ours. Thiessen: No … They were boys, unfortunately. Hoopes: There were a few honorary girls, but it was always awkward. Thiessen: It was cool, though, because we were a local band and our dancer friends would go to a the thrift store and they’d all get matching outfits and then they’d choreograph a dance move to one of our songs. And when we’d play that song, they’d jump in the crowd and get everybody dancing, which is hard to do when you’re a local band. You know, get the energy. The absurdity of the whole thing was really nice. Little known fact. Relient K was posted on July 16, 2013 for HM Magazine and authored by Melissa Sanchez.